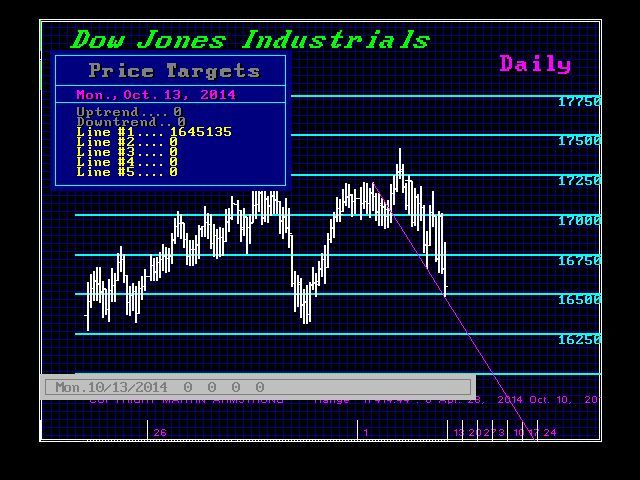 Support in the Dow today lies at 16,451. Weekly support begins at 16,170 and key support remains at 15,961. We really need a closing back ABOVE 17000 just to firm support. Otherwise, a bounce is likely with a turn back down into November.